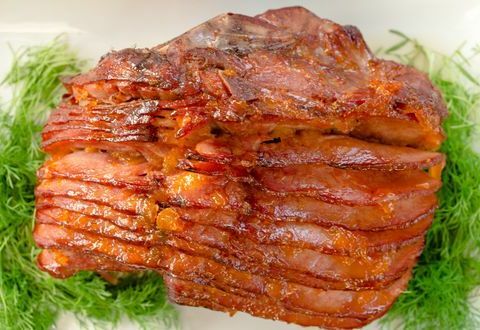 Place ham in a roasting pan and pour 1 cup of water along the bottom of the pan. Bake ham for 30 minutes. After 30 minutes, reduce the oven temperature to 325 F.
While ham is baking, combine apricot jam, bourbon and Dijon mustard in a small bowl. Continue baking the ham for an additional 1 hour and 20 minutes, basting every 20 minutes. Slice and serve. Enjoy!